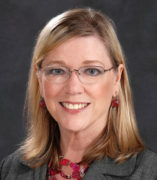 Linda McCreary is a Clinical Associate Professor at the University of Illinois at Chicago College of Nursing, Associate Dean for Global Health, and Co-Director of the PAHO/WHO Collaborating Centre for International Nursing Development in Primary Health Care. She teaches global health leadership at both undergraduate and graduate levels and serves as research mentor to numerous DNP and PhD students and international post-doctoral visiting scholars. Dr. McCreary has been a co-investigator on three previous NIH-funded studies testing a peer-group HIV prevention intervention for health workers, community adults and youth, and family caregivers of those living with HIV in rural Malawi. She is currently a co-investigator on a NIH-funded study to test a Community Implementation Model to strengthen community capacity to roll out and sustain an HIV prevention program in Malawi. She is also co-investigator on a NIH-funded study to assess several pregnancy and birth outcomes, as well as HIV-related outcomes, of implementing group ante-natal care with women in Malawi. With colleagues in India, she is engaged in collaborative research into HIV-related stigma from the perspectives of nursing students, other healthcare workers and community adults. She has been part of the HRH Rwanda program since the beginning, 6 years ago, and is now proud to be the UIC lead on this project.